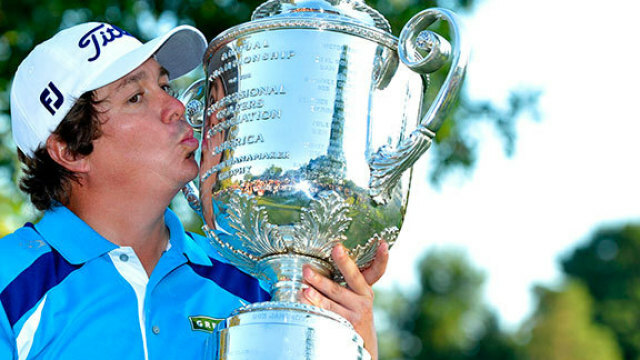 Could future PGA Champions be kissing the trophy on foreign soil? Major American golf championship, the PGA, has announced that it may venture outside of America for future events once or twice a decade. The PGA, conducted by the Professional Golfers’ Association of America, is one of the four major golf championships, and is usually the season’s last major title. The first PGA was held in 1916, so it’s not far off from 100 years old. Primarily played in the eastern half of the US, the championship has barely even ventured out of this area. The event has its venues planned out until 2019, so there’s no chance of the championship being held in another country until then. The move is being considered to raise the profile and prestige of the championship. Despite its title as one of golf’s major championships, it has failed to gain the same popularity like its rivals have – the Masters, the Open and the US Open. The CEO of the Professional Golfers’ Association of America has said “When we sat down to map our strategic plan to service our members and grow the game, the question arose as to what impact it would have to take the PGA Championship to an international location once or twice a decade. The PGA was created by Rodman Wanamaker, a department store owner. He invited famous golfers and industry leaders to lunch in New York City and together they formed the Professional Golfers’ Association of America. Wanamaker suggested an all-professional annual tournament, and offered up $2,500 worth of prizes. 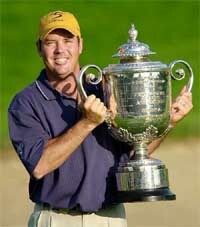 The first tournament was held six months later at the Siwanoy Country Club in New York State. Keegan Bradley has been amongst the hottest golfers in the world since winning the PGA Championship in August. 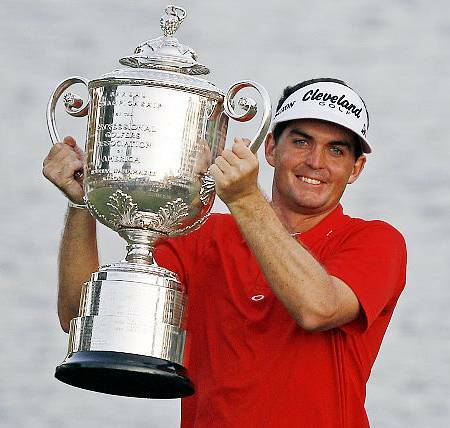 Keegan Bradley enhanced his growing reputation even further this week with victory at the PGA Grand Slam, holding on to the lead despite a late surge from the in-form Charl Schwartzel. While Bradley shot an even 71 in the tournament’s final round to go 4-under in total, Schwartzel was in sublime form, equaling the course record of 65 with a run of five consecutive birdies in the front nine. The South African will be pleased with his efforts of course, but also frustrated that he left it too late to win the tournament. He went into the final round at 3-over, so a 65 wasn’t even enough for him to overtake Bradley to take the title. As for Bradley, the American youngster did feel the pressure during the final round with dropped shots at 1, 5 and 6. He recovered well though with a birdie at the 7th and he didn’t look back from there. 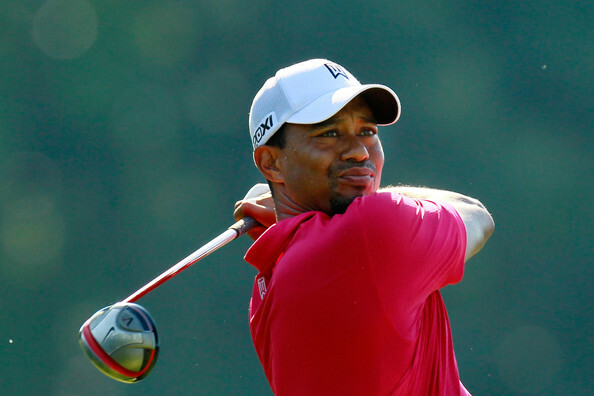 Despite a self-proclaimed return to health, Tiger Woods has not yet found a return to form. Tiger Woods blames his alarming slide down the golf world rankings on his health, and says he feels better now than he has for a long time. The former world number one has undoubtedly had his problems over the last few years, with a knee injury the most recent issue he has faced. Woods believes that now he is finally over his injuries, he will be able to concentrate on his golf, and getting back to his best. However, he isn’t off to a great start in his return after finishing 18 strokes back last week at the Bridgestone Invitational and then shooting an opening round 77 to make it likely that he will miss the cut at the PGA Championship. “In order to win, I had to be healthy,” Woods said. “That’s what we’re trying to get to. Now I can go, now I can do the work. At the time of this shot, no one foresaw the controversy that would follow. With every shot viewed by millions across the world, there is no place for professional golfers to hide when things go wrong during major golf championships. It is a lesson than Dustin Johnson learned for the first time at the U.S. Open in June and then painfully revisited during the 2010 PGA Championship. For the first three rounds of the 2010 U.S. Open at Pebble Beach, the 26-year-old from Columbia, South Carolina looked like the greatest player in the world. Having twice won the AT&T Pebble Beach National Pro-Am, Johnson acted as if a victory in the Open was inevitable. He entered the final round six under par and with a three stroke lead. However, in front of a worldwide audience, he imploded with an ugly 82 to finish tied for eighth place. For many golfers, such a disappointing finish in a major championship could have been the catalyst to a free-fall. However, that didn’t prove to be the case for Johnson. Just weeks later, he finished tied for 14th at the British Open. 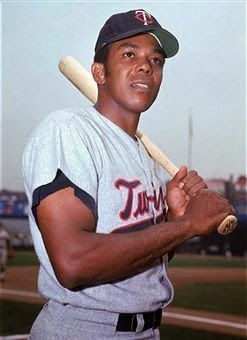 In recognition of the upcoming PGA Championship, the Sports Then and Now Vintage Athlete of the Week is the golfer who 50 years ago claimed his only major championship by winning the PGA Championship at the Minneapolis Golf Club. To generations of golf fans, Bob Rosburg is best known for his more than 30 years as a golf commentator for ABC. 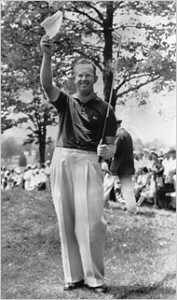 He is credited with pioneering the now common practice of roaming the course to report the action. However, Rosburg was even better at playing golf than he was reporting on it.